Research on higher education has yielded many insights that have improved our theoretical and practical understanding but there are still many themes that continue to appear on research agendas, provoking renewed focus on these complex questions and problems. 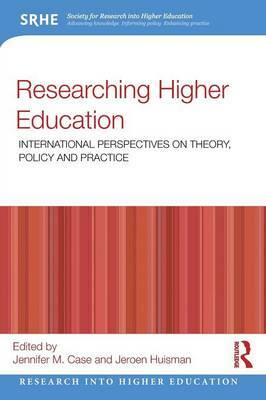 Researching Higher Education explores these issues, examining topics such as equity in access and participation, the relationship between higher education and society, how and what students learn and the professional development of academics. In this volume, contributors from Europe, Australia, Africa and the US critically address ongoing issues with a set of key questions to guide their analysis: What do we know? What are the missing links and gaps in past research? What are the implications for further research? Critical, engaging and international in scope, Researching Higher Education will be a valuable guide for academics, researchers, postgraduate students and policy makers in the higher education community.